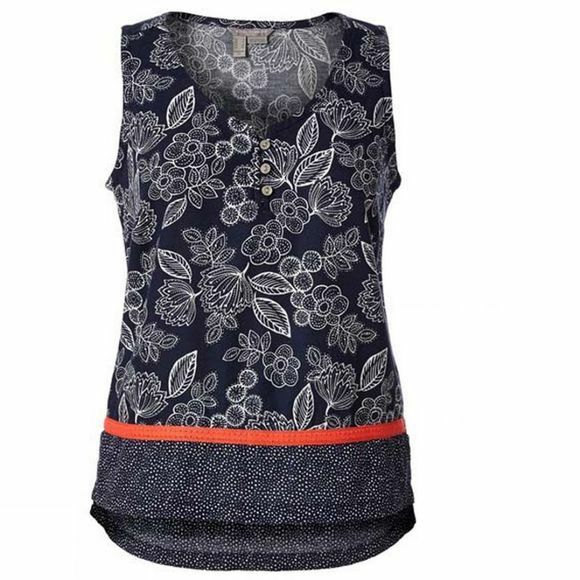 The Women's Cool Mesh Eco-Tank Print from Royal Robbins will have you looking fabulous whilst beating the heat. The natural breathability of cotton has been enhanced with an open mesh for optimal ventilation. Lifestyle meets tech as this great-looking tank keeps you cool in the most stiflingly humid of climates. It’s all about comfort; this stylish tank has been garment-washed, improving upon the natural softness of cotton and added side vents for maximum air circulation.